First you point out the plasmid vector: pCK1:lacZ. First you point out the plasmid vector: pck1:lacz. Your goal is to explain why each labeled section is important. Explain why each labeled section is included in the plasmid. Then you refer to the overall cloning process depicted in the image. Textbook: during which step in the diagram would dna ligase be used? (1, 2, 3, 4 , or 5) Genetic exchange between bacteria can occur through 3 mechanisms. 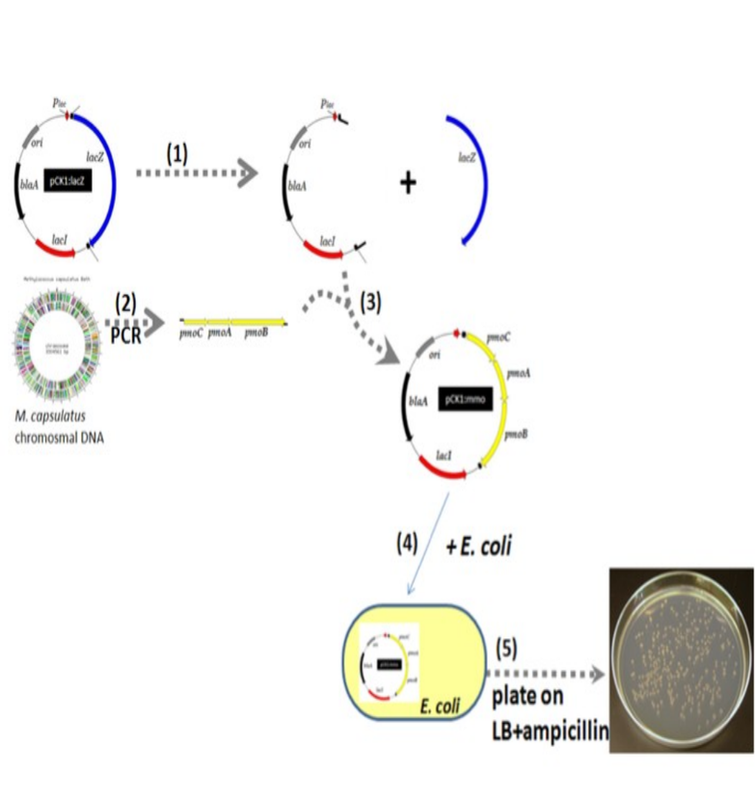 In the lab dna transformation was used to transfer the plasmid in to e. coli . Once in the cow, explain how the pck1:mmo could be transferred from the transgenic e. coli to a bacterium that is resident within the cow rumen. Conjugation occurs by direct contact between 2 bacterial cells via their pili. The dna from e. coli would be transferred to a bacterium resident within the cow rumen in a process similar to sexual contact .